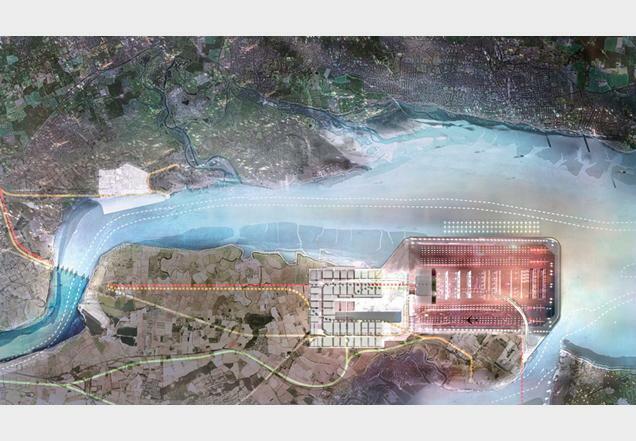 Architect Norman Foster has released details of a self-funded proposal for a huge airport in the Thames Estuary. 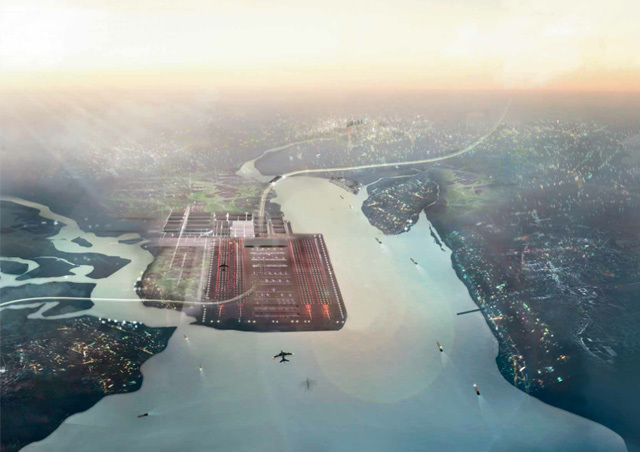 The plan, much ballyhooed by Boris Johnson (to general disdain / ridicule by his party, the airlines and other interested parties) is for a floating airport in the Estuary, to alleviate and eventually replace Heathrow. 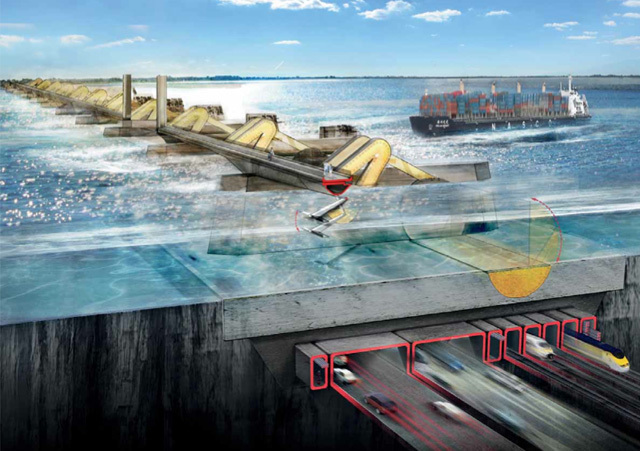 Foster's proposal is not quite the same as the Mayor's plan, but is similar in its location, and is nothing if not ambitious. 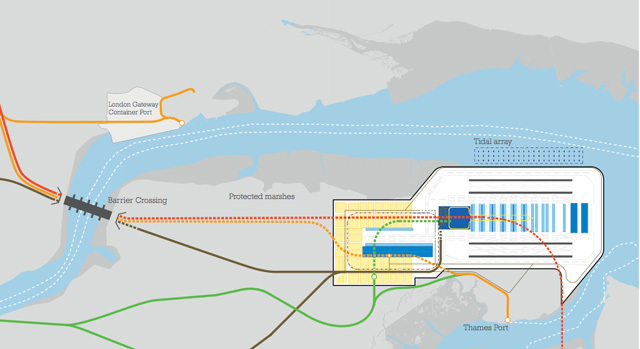 Built on reclaimed land on the Isle of Grain, the Thames Hub would be the world's largest airport, operating 24 hours a day and serviced by a huge slab of new transport infrastructure that would include the UK's busiest station, with 300,000 people passing through each day. 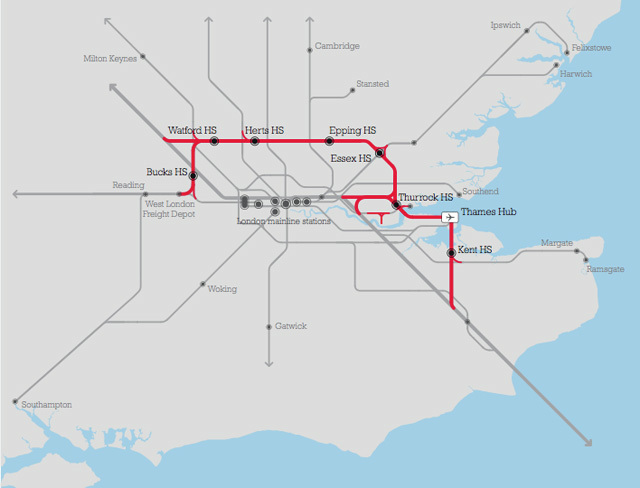 The airport would be accessible from central London in 30 minutes, and the scheme also incorporates a new orbital rail route around the capital and a second Thames flood barrier. 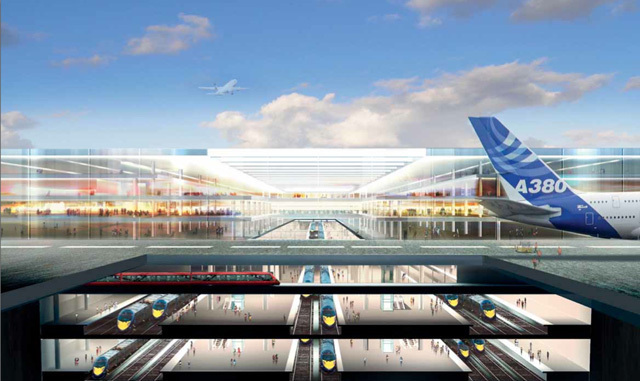 The £50 billion project has inevitably won the backing of Boris Johnson, while dissenting voices come from Kent residents, wildlife groups, and Terry Farrell, a not-entirely disinterested party as he is drawing up the masterplan for a transport hub at Old Oak Common in north-west London. In outlining the project, Lord Foster harked back to Britain's Victorian traditions of entrepreneurialism and industrial derring-do. Protesting perhaps too much, he said that the project was 'no pie-in-the-sky', and that building it would be "the most powerful single statement we could make about the ambition of this country". Given the country's miserly economic situation thus far in the 21st century, the notion of spending £50 billion on an airport (to say nothing of the associated infrastructural costs) might strike some less as ambition than fiscal foolhardiness on a colossal scale. Yet there's something so bold, so ambitious, so Buck Rogers about the plan that it's almost impossible to imagine it happening.